Goldfrapp: a good match for John Lennon flick? Alison Goldfrapp has confirmed that her band has written the score for Nowhere Boy, the forthcoming movie based on John Lennon's childhood and teenage years. Writing on the Goldfrapp blog, the singer said: "We have finally emerged from an intense period of work and I'm pleased I can now tell you about it (as it is official). "We have written the score for a film called Nowhere Boy. It's about John Lennon as a boy and stars Aaron Johnson, Kristen Scott-Thomas and Anne Marie Duff. "It's [English conceptual artist] Sam Taylor-Wood's first feature film and it's truly amazing that they gave us the opportunity to do this. We are all really excited about going to Abbey Road Studios soon to record the strings with the full orchestra. The film is closing the London Film Festival and is premiered on 29 October at the Odeon Leicester Square." Nowhere Boy is based on the book Imagine This: Growing Up With My Brother John Lennon, which was written by the Beatle's half-sister Julia Baird. It promises to reveal details of the relationships he had with his mother, Julia, and his Aunt Mimi. The decision to hand soundtracking responsibilities for the film to an 'electronic' outfit may come as a surprise to some Beatles fans - Goldfrapp haven't worked on a feature film before and they're hardly the most obvious candidates. However, along with the brave choice of director, it does raise hopes that this may be a relatively oblique portrait of Lennon rather than a straightforward retelling of events. 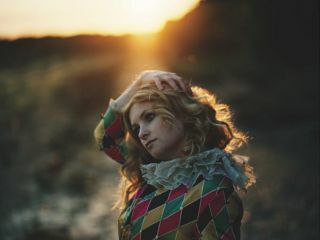 In the same blog post, Goldfrapp also confirmed that there are plans to go back into the studio soon. "Now our work on the film is almost finished, we will carry on writing the Goldfrapp album," she says.